The Freeway Series is a Major League Baseball (MLB) interleague rivalry played between the Los Angeles Angels of Anaheim and the Los Angeles Dodgers. The Angels are members of the American League (AL) West division, and the Dodgers are members of the National League (NL) West division. The series takes its name from the massive freeway system in the greater Los Angeles metropolitan area, the home of both teams; one could travel from one team's stadium to the other simply by crawling along Interstate 5. The term is akin to Subway Series which refers to meetings between New York City baseball teams. The term "Freeway Series" also inspired the official name of the regions' NHL rivalry between the Los Angeles Kings and the Anaheim Ducks: the Freeway Face-Off. The rise of Southern California as a major region of the United States brought about a significant economic rivalry between neighboring Los Angeles and Orange counties. To many living outside of Southern California, the entire region is often simply referred to as "LA", associating Los Angeles and Orange counties with the same stereotypes and preconceptions. However, the two counties differ sharply in political ideology, socioeconomic status, and demographics. Los Angeles County is more liberal, and is represented by a more ethnically diverse population, while Orange County remains one of the most conservative areas in the state. This divide led to the Los Angeles/Orange county line to be colloquially referred to as the Orange Curtain. This can be somewhat misleading, though, because the older, more urban, cities of northern and central Orange County (Anaheim, Santa Ana, Garden Grove, Buena Park etc.) are much more in tune with Los Angeles County cities than their southern Orange County counterparts. These older Orange County cities are much more diverse and less homogenous than the south, and the income levels and demographics represent this. Dodger Stadium (left), the home of the Los Angeles Dodgers, and Angel Stadium of Anaheim (right), home of the Los Angeles Angels of Anaheim. The first exhibition game between the two clubs (won by the Angels) was played in 1962 in Palm Springs, at the time the spring training home of the Angels. 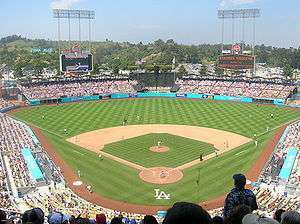 The first pre-season series was played at Dodger Stadium, at the time the home ballpark of both teams April 6–7, 1963. The Angels won both of the two games played. 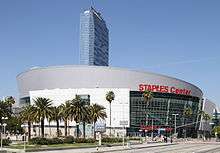 After the Angels added Los Angeles to their official name in 2005, the rivalry took on renewed interest, as the series took on a more intracity atmosphere. Throughout the 2005 season, Dodger Stadium listed the Angels as "ANA" on its out-of-town scoreboard and team schedules, as it was prior to Angels' name change. However, the Dodgers now post "LAA" on both their scoreboard and schedules. Dodger broadcaster Vin Scully refers to the team as just the Angels when mentioning them on the air. Dodgers tickets still refer to the Angels as the "Anaheim Angels." As of the 2011 season, however, the Angels' out-of-town scoreboard in right field still lists the Dodgers by their pre-2005 "LA" abbreviation instead of "LAD". The Angels' name change was largely opposed by the Dodgers organization, city and county of Los Angeles, Anaheim, every other city in Orange County, and fans on both sides. The prevailing argument was that the Angels did not play within Los Angeles county limits, and that adding LA to the name inaccurately represented the location and background of the team's fans. 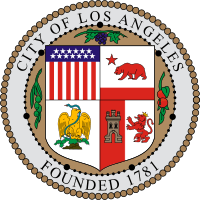 The Angels' ownership countered that bringing the Los Angeles name to the American League was beneficial to the entire region and organization. The adding of the "Los Angeles" to the Angels name still causes some resentment in the minds of both Angel and Dodger fans today. 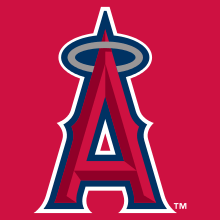 Translated from the Spanish, the Angels' full team name reads "The The Angels Angels of Anaheim." 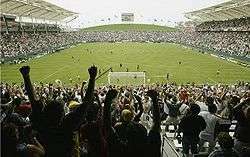 Regular- and post-season games between the two teams take place at either Angel Stadium of Anaheim or Dodger Stadium. The two stadiums are located approximately 30 miles (48 km) apart. At one point, both teams were owned by major media conglomerates: the Angels had been owned by the Walt Disney Company, and the Dodgers were owned by News Corporation (both companies each own one of the MLB broadcast partners, with News Corporation changing its name to 21st Century Fox in 2013). Both teams have been sold in recent years. 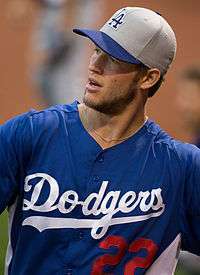 The Angels' Mike Trout and the Dodgers' Clayton Kershaw both won the MVP awards for their respective leagues in 2014. During the 2002 World Series, there was a moment of peace in the rivalry as a result of the nightmares the Dodgers and their fans were facing because the Angels played the San Francisco Giants, the fierce in-state rivals of the Dodgers. The Los Angeles Times called the series "the Dodgers' 'Nightmare Series.'" The New York Post called it "the worst-scenario World Series for the Dodgers." The San Francisco Chronicle called the series "a Dodger fan's worst nightmare." The Dodgers and their fans, including Chairman Bob Daly and former manager Tommy Lasorda, rooted for the eventual champions and attended their games in Anaheim. Lasorda was at Game 2 and stood behind the batting cage and said that he's a big fan of Angels manager Mike Scioscia. Daly attended Game 7 and sat near the Angels dugout, as a fan of late Angels owner Gene Autry. This series was the Angels first championship, while the Dodgers' last title came in the 1988 World Series. History was made in 2014 when two MVPs were chosen from the same metropolitan area with the Angels outfielder Mike Trout winning the American League MVP and Dodger pitcher Clayton Kershaw winning National League MVP for the year. Bold face indicate World Series won with both teams. *Maicer and César Izturis were half-brothers. They played against each other during the 2006 season. *Erick and Willy Aybar played against each other during the 2006 season. *Jered and Jeff Weaver both played for the Angels during the 2006 season. Jeff Weaver played for the Dodgers during the 2004, 2005, 2009, and 2010 seasons. On June 20, 2009, they pitched against each other, in the eighth match-up between a set of brothers in Major League history. Jeff won, in a 6–4 Dodgers victory. Scioscia is the only man to have won three World Series with both teams (Dodgers in 1981 and 1988 and Angels in 2002). He led the effort in making the 2002 World Series a moment of peace in the rivalry. 2015 Dodgers 5 1 One season return of 3-game home-and-away format. As of 2015, the Angels and the Dodgers have never met in the postseason. To meet in the postseason would require that they both advance to the World Series in the same year. To date, the two teams have made the playoffs in the same year four times: 2004, 2008, 2009, and 2014. In 2004, both teams lost in their respective Division Series, whereas in 2008 the Angels lost to the Boston Red Sox, 3 games to 1 in the Division Series while the Dodgers swept the Chicago Cubs in 3 games only to lose to the eventual champion Philadelphia Phillies in 5 games in the National League Championship Series. In the 2009 playoffs, both teams advanced to their respective League Championship Series. The Angels lost the American League Championship Series in six games to the eventual champion New York Yankees, while the Dodgers lost game 5 of the NLCS to the defending champion Phillies. The Angels' only World Series win and appearance came in 2002, while the Dodgers' last one came in their championship season of 1988. In the end of September 2014 a possibility remained about the two teams meeting in the 2014 World Series, as both teams finished first in their respective divisions. However, the Angels lost in a 3-game sweep to the Kansas City Royals in the ALDS, while the Dodgers lost 3 games to 1 to the St. Louis Cardinals in the NLDS. ↑ "Driving directions to 2000 E Gene Autry Way, Anaheim, CA 92806". Google Maps. 1 2 3 Penner, Mike (October 28, 2002). "Angels' Dream Is Fox's Nightmare". Los Angeles Times. p. U3. 1 2 3 Chang, Richard (October 21, 2002). "Many Dodgers fans wearing a halo". Orange County Register. p. Angels. Dodgers fans look to the Angels coaching staff—former Dodgers Mike Scioscia, Mickey Hatcher, Ron Roenicke and Alfredo Griffin—as another reason to like the Angels...The Southern California connection, as well as the north-south divide, also plays a role...Most true-blue Dodgers fans are looking beyond Mickey Mouse and are hoping the Angels reduce the Giants to gnats. 1 2 3 4 Shaikin, Bill (October 18, 2002). "Angel Report /Notes; Rodriguez Giving a Sneak Preview". Los Angeles Times. p. D10. The way Angel Manager Mike Scioscia figures it, Dodger fans will be rooting for the Angels during the World Series, if only as the lesser of two evils. As a former Dodger catcher, Scioscia is well aware that a Dodger fan's two favorite teams are the Dodgers and whoever is playing the Giants. 1 2 3 Sherman, Joel (October 20, 2002). "Mike Makes Right". New York Post. p. 98. This is the worst-scenario World Series for the Dodgers...San Francisco is the Dodgers' most hated NL rival. The Angels are the Dodgers' neighbors to the south...'This is not a good situation for the Dodgers,' (Paul) Lo Duca admitted. But he said because he has a relationship with Scioscia and former Dodger coaches and current Angel coaches Mickey Hatcher and Ron Roenicke, it would be easy for him to root for Anaheim. ↑ Garofoli, Joe (October 19, 2002). "Dodger fans cross the line, seek Series tickets". San Francisco Chronicle. p. A14. This Series is a Dodger fan's worst nightmare. ↑ Brookover, Bob; Salisbury, Jim (October 21, 2002). "Lasorda watches Series with pride, prejudice". Philadelphia Inquirer. p. C6. Although Lasorda could never cheer for any team other than the Dodgers, he obviously is a big Scioscia fan. ↑ DiGiovanna, Mike (June 20, 2009). "Jeff Weaver outpitches Jered". Los Angeles Times. Retrieved June 20, 2009. ↑ "Players who played for Los Angeles Angels of Anaheim and Los Angeles Dodgers". Baseball-Reference.com. Retrieved 16 May 2016. DiGiovanna, Mike (June 18, 2007). "Freeway Series is Turning into a Romp". Los Angeles Times.